Etiquette Iowa » R.S.V.P in a timely way! R.S.V.P. is French for Respondez sil vous plait, which means “Please respond”. Try to R.S.V.P in a timely way (2-4 days). Once you give your R.S.V.P., be sure to follow through and attend the event. If for some reason, you cannot attend, notify your host as soon as possible. Enclosed please view one of the most beautiful R.S.V.P.’s we have received. It was hand written and decorated and it was simply a delight to receive. 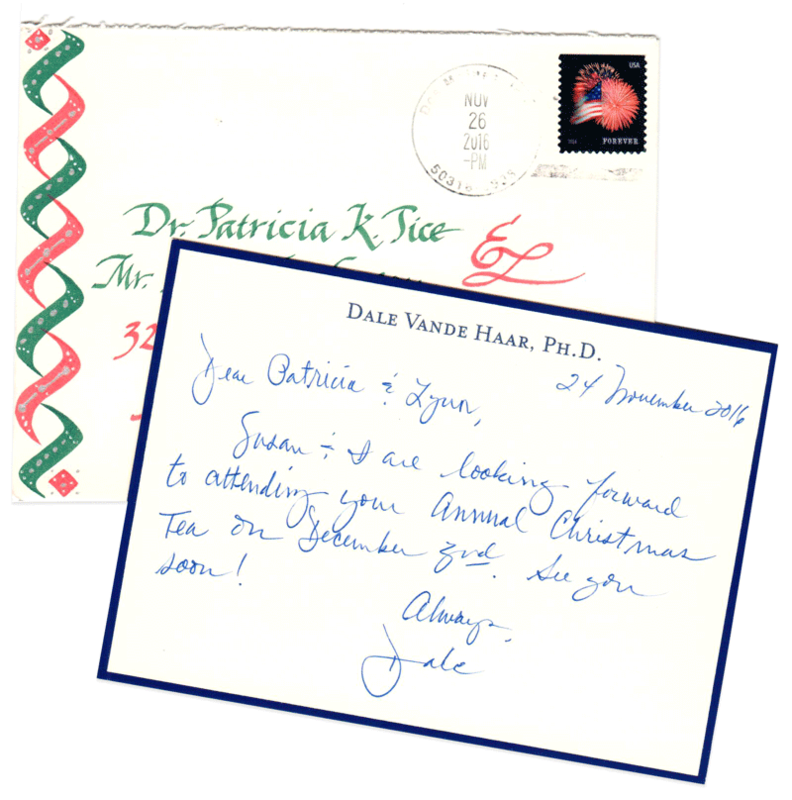 Special thank you to our friends, Dr. Dale Vande Haar and his wife, Susan…for setting the standard so high!